FOR CISD Educators only. If you are not a CISD educator, please consider attending our speaker series event on Mar 3. For more information, please click here. Also, attend our Brown Bag Book Discussion. For more information, click here. If you have any questions, please contact our Speaker Series Chair, Michelle Bauer, speakers@coppellgifted.org. Misty’s an Academic Achiever who must achieve 100%. Ivan’s a Risk Evader who takes an “all or nothing” approach. Kerry is a Procrastinating Perfectionist who fears her inability to achieve her vision. These students exemplify a few manifestations of perfectionism and illustrate the double-edged sword of perfectionism that many gifted children face. Join us as we share case studies of students in a fourth-grade gifted classroom and other research on perfectionism. Learn more about perfectionism, how it is manifested in the classroom, and practical strategies to help your students use their perfectionism in a positive manner. 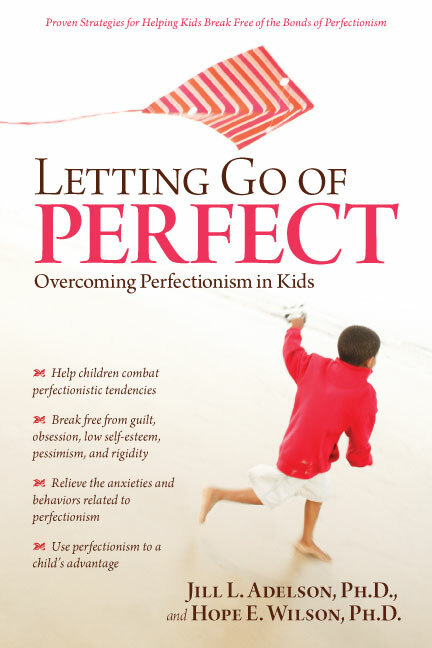 When discussing the social and emotional development of gifted children and adolescents, the topic of perfectionism is bound to surface. These children are faced with a double-edged sword that can manifest itself in a healthy way, leading to achievement, self-confirmation, high self-esteem, responsibility, and “unparalleled greatness,” or in an unhealthy manner, resulting in procrastination, avoidance, anxiety, a self-defeated attitude, and underachievement. In this session, based on their book Letting Go of Perfect and their collaborations at the University of Connecticut, Jill and Bess will share the results of a case study of 20 students in a self-contained gifted and talented classroom over 2 months. These observations, which took place in a variety of contexts, enabled documentation of a range of manifestations of perfectionism, demonstrating how perfectionism impacts gifted children in schools. These manifestations suggest five types of perfectionists. Participants will learn through real-life illustrations about these five ways gifted elementary students manifest perfectionism in the classroom and about research-based recommendations and strategies for meeting the needs of these different types of perfectionists to help them transform their perfectionism for positive future work. Jill and Bess will augment and support these case studies with information gathered through a literature review on perfectionism and gifted students, and participants will be invited to share any strategies that they have found work with these students. Additionally, Jill and Bess will share some examples of videotherapy to address perfectionistic behaviors. Books will also be available for purchase. Jill L. Adelson, Ph.D., has worked with children in a variety of settings, including academic, extracurricular, and athletics. She taught fourth-grade self-contained gifted and talented in Newport News, VA, and some of her coaching activities included Odyssey of the Mind, softball, and the academic team. While teaching, Jill earned her master’s degree in curriculum and instruction, specializing in gifted education, from The College of William and Mary. Jill left Virginia to pursue her doctorate in educational psychology with a joint specialization in gifted education and in measurement, evaluation, and assessment at the University of Connecticut, where she worked with students through Project M3: Mentoring Mathematical Minds and Project M2: Mentoring Young Mathematicians. Currently, Jill is an assistant professor at the University of Louisville in educational and counseling psychology. Hope E. Wilson, Ph.D., has worked primarily as an elementary art teacher in Texas. Hope earned her master’s degree in teaching from Austin College in Sherman, TX, and then a second master’s degree in gifted education from Hardin-Simmons University in Abilene, TX. After 4 years of teaching, Hope went to the University of Connecticut to pursue her Ph.D. in educational psychology with a specialization in gifted education. She is the mother of two young children and is an assistant professor of elementary education at Stephen F. Austin State University in Nacogdoches, Texas. For more information about the benefits of membership, click the JOIN tab at the top. Educator Memberships : Join CGA only or add a TAGT membership to your CGA membership. Not ready to be a member? Join our email list for periodic CGA news. CGA Member Registration Now Open for Summer 2019 MOSAIC! Interested in Volunteering with CGA? We Need YOU!